Picture this: It’s Saturday morning and you’ve already watched a video on social media before crawling out of bed. Sound familiar? If it does, you’re not alone. After all, video accounts for a staggering 75% of all internet traffic, and 6o% of people actually prefer online video platforms to live TV — go figure! So, while scrolling through your social feeds before even brushing your teeth in the morning might not be the healthiest habit ever, it does speak to the power of video on social media. Whether you’re just diving into the world of video marketing or you’re already a seasoned pro, these ever-evolving social media channels force us marketers to stay on our toes, following the latest trends and adapting our video creation strategy to meet the needs of our unique audiences on every channel. In this guide, we’ll teach you some best practices for creating content for channels like Facebook, Instagram, YouTube, and more. Plus, you’ll learn how to measure success once your videos are out in the world! Don’t have time to read the whole thing in one sitting? 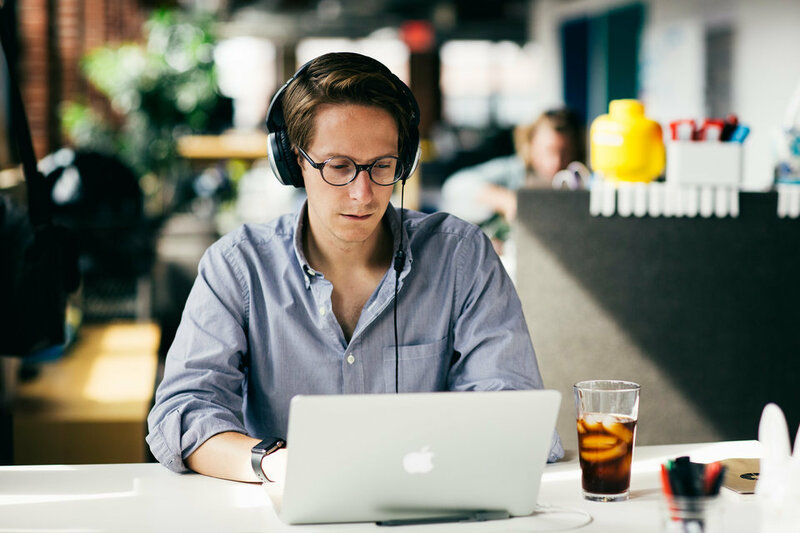 Bookmark the guide for when you’re feeling inspired and have some extra time on your hands. Can you name a more iconic duo? What do peanut butter and jelly, spaghetti and meatballs, Lenny and baby carrots, and video and social media all have in common? You guessed it, they all work oh so well together. People spend tons of time on social media these days, and video is the perfect medium for conveying information both quickly and effectively. Afterall, our brains are immediately hardwired to respond to visual information — it’s easier for us to understand video and remember it, which is one of the reasons why marketing videos tend to be so successful for businesses. 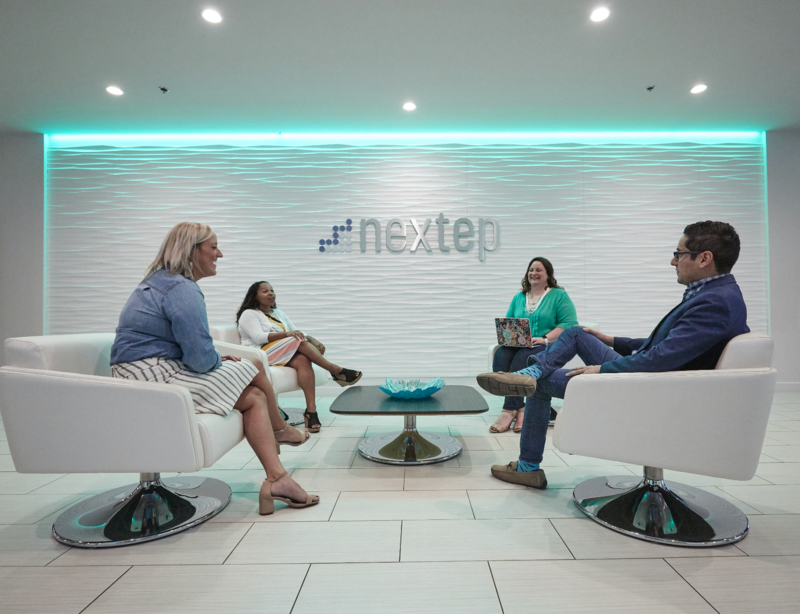 Making connections: They’re looking for a way to keep in touch with friends, meet people with shared interests, and find business contacts. Consuming information: They’re looking for answers to questions, news about the world, and solutions to problems. Being entertained: They’re looking for ways to spend time, laugh, and blow off steam. Because social media feeds are filled with tons of photos, texts, memes, GIFs, and videos from close friends, influencers, businesses, brands, and more, it’s the perfect place to experiment and break the rules of convention. You can start to uncover what makes your audience tick and spark valuable conversations by using video across social media platforms. But, before you start whipping up those eye-catching videos, you should make sure your business has a solid social video strategy in place. Getting in front of the right people at the right time will make all the difference, so let’s dig into the keys to success. First and foremost, set some specific, measurable goals for video at your business and create a clear roadmap for how you plan to achieve them. For example, if your goal is to generate brand awareness with video on social media, you could put 4–5 videos on your roadmap that are catered specifically to Facebook, have broad appeal, and might resonate well with your target audience. This type of plan will help form the basis of your social video strategy moving forward, so be sure to have one in place before you start shooting! Setting an explicit social video strategy saves you from having to scramble for content ideas on a daily basis (which is something we learned the hard way). It also comes in handy in the future when you set out to identify new opportunities or channels to explore, and when you need to reflect on the relative successes or failures of certain campaigns. Most importantly, your strategy keeps you on track, reminding you why you’re even making videos in the first place, and who specfically you’re making them for. 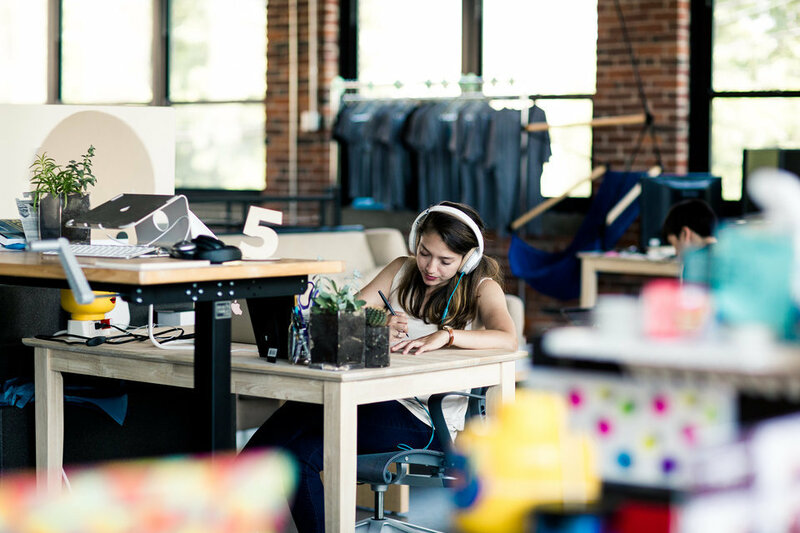 Crafting a Social Video Strategy: If you’re looking for a broad overview of how to approach video on each social media platform, this guide is your best bet! It has everything you need to know about taking the leap from syndicated videos to native content creation for Facebook, Twitter, YouTube, and Instagram, so give it a read if you’re just starting to lay down your social video foundation! Choosing the Ideal Aspect Ratio for Your Video: Before you hit the “record” button, there are a few key creative decisions to make — and aspect ratio is one of them. Aspect ratio determines how you frame your videos and what your viewer will focus on. 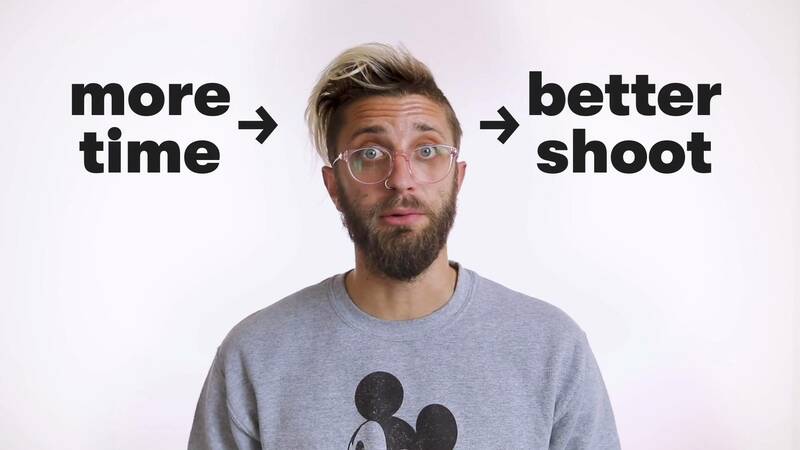 Deciding on an aspect ratio depends on where you’ll be sharing your video. Here, we show you how to use the handy Wistia Aspect Ratio calculator, and offer some tips and suggestions about ideal aspect ratios for every platform. Now that you’ve got the lay of the land and know where you want to go with your social video strategy, you can dive deep into the content creation side of things. Start first by familiarizing yourself with the ways people engage with one other on each social platform. There are key differences between posting videos on Instagram and Facebook, and even bigger differences between YouTube and LinkedIn. And of course, posting videos to social media yields different results than embedding videos on your website. It sounds like a lot to consider, and the truth is — it is! But don’t worry, we’ll break it all down by platform in just a bit, so wipe that sweat off your forehead. For marketers, it’s especially important to know where people are making purchasing decisions. According to one report, consumers engage with branded videos the most on Facebook (49%), followed by YouTube (32%), then Instagram (24%), and finally Twitter (22%). So, keep that in mind when considering the goals you hope to achieve with the help of video, as thast could influence where you invest most of your time and effort. Once you understand the way people behave on each app, you can factor that into the creative decisions you make when it comes time to create your content. Now, without further adieu, let’s take a closer look at the unique features of each social platform and what that means for the types of videos you create! Instagram is one of the fastest-growing social networks, as well as one of the fastest-growing advertising networks in the entire world. In 2018, there was a 17% increase in the number of people who reported making a purchase based on something they saw on Instagram — now that’s wild! Because Instagram is a visual-first platform, it’s a really fun place to experiment creatively with content that can make people feel more emotionally connected to your brand. 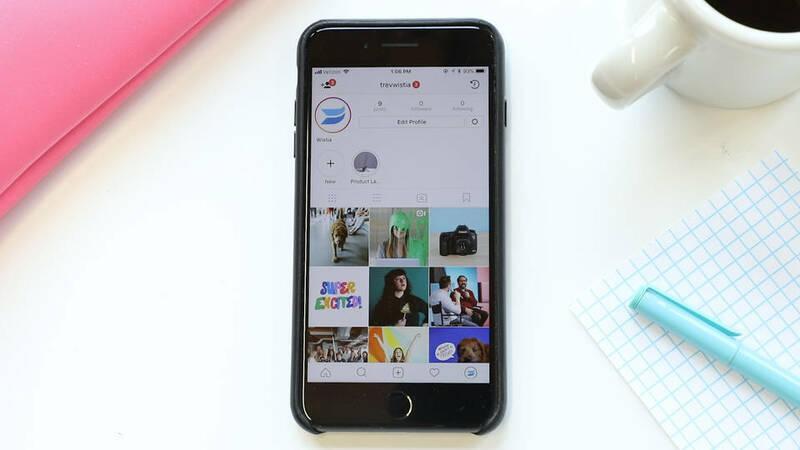 Best Practices for Instagram Video: Videos on the Instagram feed can be up to 60-seconds long, which gives you quite a bit of leeway when it comes to telling your story. Learn how to shoot, edit, and share a video in the Instagram feed to increase your reach and create a unique aesthetic in this post! How to Start Creating Videos for IGTV: What exactly is IGTV and how can it help your business? Instagram’s newest video channel is entirely focused on long-form, vertical video. If you’ve never produced this type of video before but you’re interested in seeing what it’s all about, this how-to guide has you covered. You’ll learn technical facts like video specs and CTAs, as well as the strategic benefits of IGTV. How to Make Square Videos for Social Media: Instagram was the original “square-format” platform, but now lots of other platforms are making room for squares. Square video is a versatile format with a major benefit: It takes up more real estate on mobile devices than the traditional landscape video. In this article, we teach you how to shoot square video on an iPhone as well as edit existing videos on your desktop to fit the square format. You can’t talk about video on Instagram without mentioning Instagram Stories. 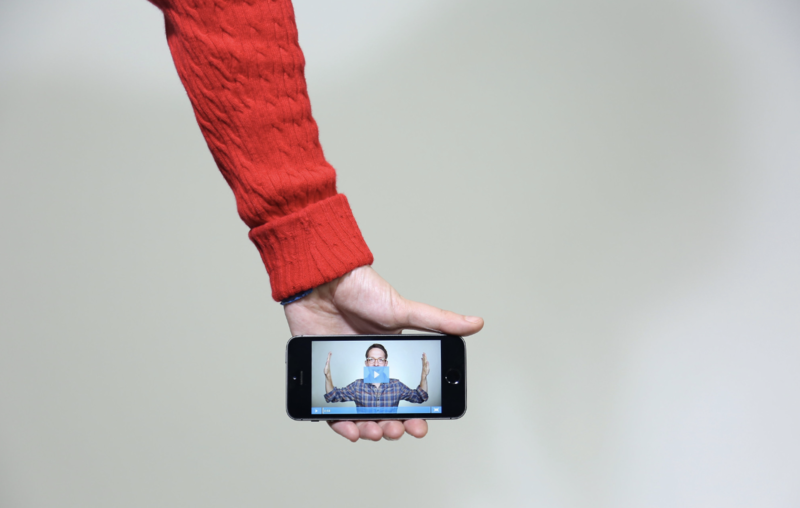 You probably know by now how irresistable those tappable, 15-second videos can be. The hugely popular feature has 500 million daily users as of January 2019. Well-made stories can be extremely engaging, leading to increased brand awareness and purchase intent. Here’s how to make your Instagram Stories videos stay top of mind (and top of feed). How to Tell an Effective Story with Vertical Video: Instagram Stories have made vertical video wildly popular. But the best Stories are like nothing you’ve seen before. To make an impact with Stories, don’t just take out your camera phone and hope for the best — use these innovative ideas we’ve laid out for you! How to Shoot Professional Instagram Stories for Your Business: Looking to level up your Instagram Stories content? Want to increase sound quality, or add a little extra flair with effects you can’t get within the Instagram app? You’ve come to the right place. Here’s some insider advice about techniques and equipment you can use to polish up your stories. Using Instagram Story Highlights to Show Off Your Business: While most Instagram Stories disappear after 24 hours, some stories are built to last. In this article, we show you how to humanize and promote your brand by posting video highlights in 4 categories: product, team, learn, brand. How to Tell an Effective Story with Vertical Video: Instagram Stories have made vertical video wildly popular. But the best Stories are like nothing you’ve seen before. To make an impact with Stories, don’t just take out your camera phone and hope for the best — use these innovative tips we’ve laid out for you! Facebook is the largest social network on the planet — and one of the most competitive platforms for marketers. In 2019, it’s no secret that video can help you stand out on this social channel. Facebook’s ad targeting capabilities makes it easier than ever for marketers to reach new audiences, and with video being the most favored content type on the platform, combining these forces can yield some pretty powerful results. For instance, did you know that users linger on videos 5x longer than other types of posts on Facebook? Whether you’re using Facebook Live, 360 videos, Stories, or plain-old video posts, you can carve out a niche for your brand on Facebook using video. Becoming More Intentional with Your Video Ad Strategy on Facebook: On Facebook, creative efforts and measurable goals go hand in hand — afterall, you want to make sure you’re reaching the right people with the right message! In this article, we offer a step-by-step process for setting up Facebook video ads, from narrowing down your audience and deciding who to feature in your videos, to testing organic content and finally launching your video ads and measuring ROI. Don’t Let Algorithms Crush Your Creativity: Facebook has been known to change its product unexpectedly, but don’t let algorithms get you down! What’s good for the user is good for marketers, too. In this post, we discuss recent changes to Facebook’s algorithm and how you can let those changes inform and inspire your next batch of Facebook videos. Before You Make a Facebook Teaser Video, Consider This: Facebook posts are optimized to keep people on Facebook for as long as possible. Therefore, your videos should be easy to enjoy right there and then on Facebook. This article explains why it’s best to keep it simple and make videos that will entertain or inform people and not try too hard to get people back to your site. Here’s an example of a video we created that (in our humble opinion) is perfectly suited for Facebook. We jumped on a Snapchat trend, and ended up with tens of thousands of views on this one silly video. Enter: Hot Dog Man. How Video Could Improve Your Next Retargeting Campaign: Retargeting serves ads to people who have visited your site or specific sections of your site. Familiar faces are a lot easier to convert than people discovering your brand for the first time. In this article, we show you how to set up events using your Facebook pixel in order to capture these valuable leads. If you’re looking to expand your reach, then YouTube is a great channel to explore (so long as you’re taking a strategic approach). What does it mean to be strategic in this instance? So glad you asked! For businesses, when increasing your overall reach becomes more important than traffic acquisition (ie. driving viewers back to your company’s website), then investing in a well-thought out YouTube strategy makes sense. Remember, success on YouTube requires work and planning — don’t just throw every video you’ve ever made on there and call it a day! Developing a Better YouTube Strategy: Are you using YouTube as a video dumping ground for random ads, TV spots, and product demos? There’s a better way. Here we analyze whether you should be using YouTube for marketing in the first place and then discuss how to target your audience with original content and advertising on YouTube. 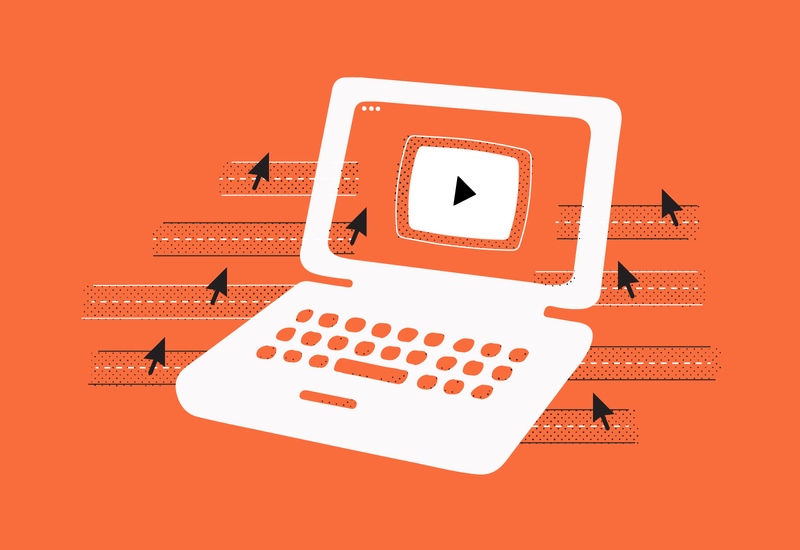 What Changes to YouTube Video Embeds Means for Your Business: YouTube can be a great platform for your audience to discover your content, but it’s important to be strategic with your approach. We don’t recommend using YouTube embeds to serve the videos on your website, however, using YouTube strategically to get more eyes on relevant content could be great for you business. Learn what the changes mean for your in this Q&A style post! As of just last year, businesses are finally able to upload video natively to the LinkedIn platform. And while LinkedIn may have been slow to jump on the video bandwagon, now that folks can upload content natively, we’re seeing tons of new videos pop up in our feeds every single day. Another bonus, is that many of LinkedIn’s users happen to be business-minded professionals, which means they might yield some significant buying power at their respective businesses. And what better way to tap into that with an engaging video? The Guide to Getting Started with LinkedIn Video: You may have heard of “thought leadership” blog posts, but what about “thought leadership videos”? Now we’re cooking with gas! Set your business apart and become a thought leader in your own right by using video on LinkedIn. 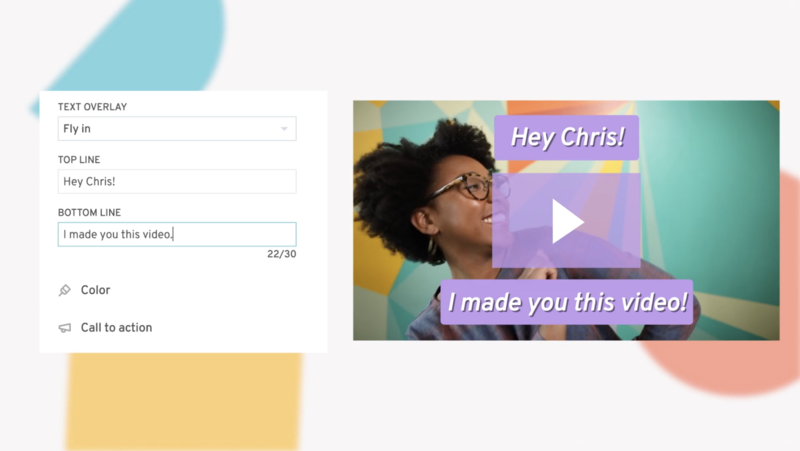 From video ideas and best practices, to how marketers and salespeople alike can take advantage of this platform, let us guide you through your LinkedIn video strategy! Whether they’re hosted on Twitch, Facebook, Instagram, or any other social media platform, livestreamed videos are still relatively new for most businesses. That means if your company can master the livestream video-game early, there’s a huge opportunity for growth! 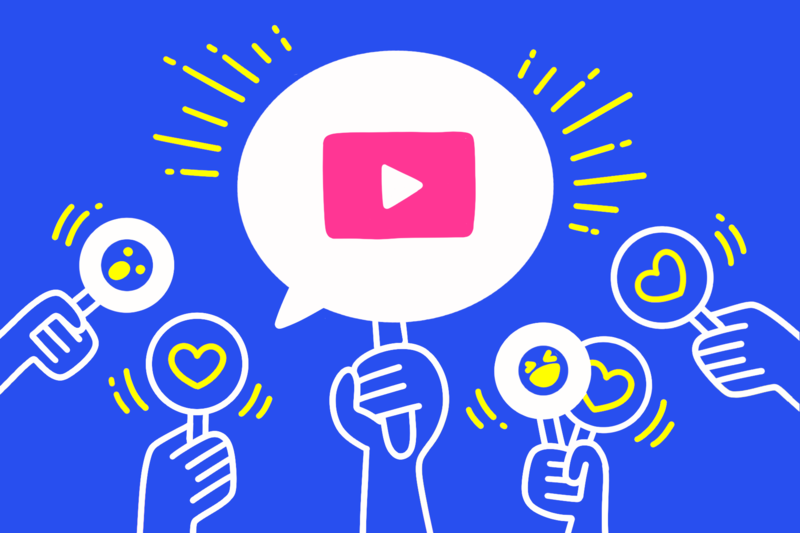 At Wistia, we’re really excited about the ways businesses can use livestreams to be more transparent, share knowledge and expertise, and ultimately, engage with customers and prospects. How to Set Yourself Up for Livestreaming Success: Want to learn how to develop ideas for livestreams, compare all the different platforms, and even build a DIY set for filming? It’s all here in this one-stop shop for setting up and executing your first (of many) livestream videos. Is Your Business Ready for Facebook Live? : To stream or not to stream? That is the question for many Facebook marketers. Facebook’s algorithm favors live videos, but on the other hand … your audience won’t really leave the app (or necssarily ever visit your site!). In this post, we break down why it’s worth it to give live video a whirl anyways, and what you can learn from stepping into this somewhat uncharted territory. Tips for Engaging Your Audience with Live Video: When done right, livestreaming can bring you closer to your customers. Afterall, it’s a shared experience that only happens once! In this article, we discuss how to communicate on livestreams, from promoting the stream in advance to responding to comments, to going off script. With these tips, you can put on a fun live event that also builds deeper relationships. We’ve talked a lot about ways to set your social video strategy for each channel, but here’s where it really all comes together: promotion and performance. Video “promotion” means more than just posting your video on social media and waiting for the magic to happen. It’s about knowing what kinds of interactions mean the most on each platform, and how to get the greatest return on your video investment. Let’s talk numbers! 12 Ways to Promote Your Video on a Budget: You’ve spent weeks planning, filming, and editing your videos, so don’t forget the final step! Here, we walk through 12 simple and affordable ways to show your video off, from emailing your videos, to participating in niche online communities, to taking advantage of prime real estate on your social pages. Evaluating Your Video’s Performance Across Multiple Channels: When it comes to video metrics, one size does not fit all. In all seriousness, the hardest part of understanding your video’s performance is figuring out exactly what to measure. This post will show you what metrics to pay attention to across several platforms, including website videos, Facebook, Instagram, LinkedIn, and Twitter. Where to Share Your Social Videos if You’re a Small Business: Social media video is a great equalizer. Many small businesses beat out competitors twice their size because of their social media marketing. The secret is not to spread yourself too thin. Pick out the channels that make the most sense for your goals and then double down. We’ll show you which platforms give you the most bang for your buck. Learning from Influencers About Growing an Audience with Video: While not everyone has the resources to invest in influencer campaigns, there are many valuable lessons you can learn from influencers about marketing yourself on social media. In this article, we discuss how to build a word-of-mouth brand. Promoting “One, Ten, One Hundred” on Social Media — The Perks of Repurposing: If you’ve made something you’re really proud of, you should share it in as many ways and places as possible! But that doesn’t mean just posting a link and calling it a day. You need to give people opportunities to discover your content in new and exciting ways. Here we use the example of our documentary series, “One, Ten, One Hundred,” to inspire you to build related content around your best, most buzzworthy work. 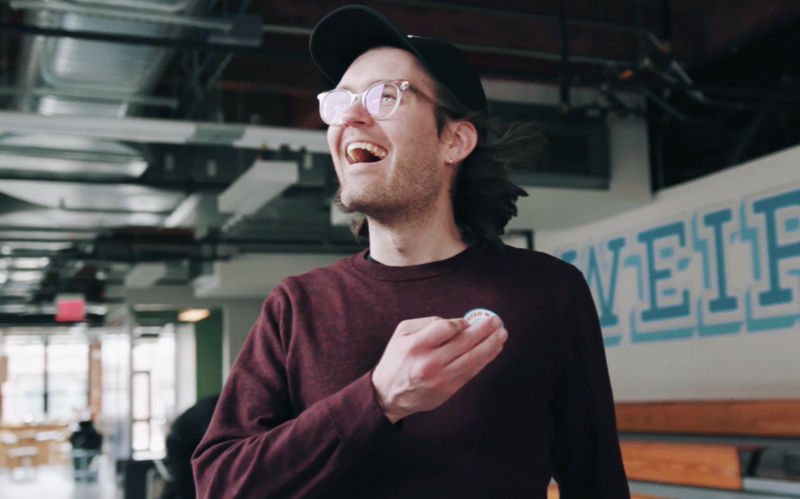 Introducing Publish to Social — Share Your Wistia Videos on Facebook and YouTube: At Wistia, our core product has always been about posting videos you own, styled to fit your brand, on your own website. But we also want to make it easy to build your audience and get the views, comments, and conversions you need on the wider web. That means producing native videos for social media. 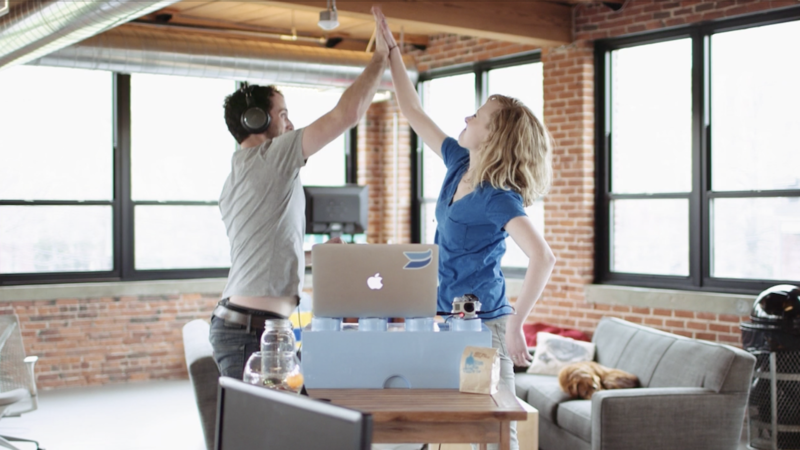 Our latest product, Publish to Social, can help you do that right within Wistia! Social media is an amplification tool for your brand, and video is the quickest, most effective way to reach the people you want to talk to. By now you should be psyched about all the informative, entertaining videos you can create and share on social media. Always remember to set some clear goals around your video, and keep in mind that most platforms don’t play by the same rules! Start increasing your business' odds for discovery by promoting your videos and measuring your success. We hope that with these resources top of mind you’ll be able to compound the value of the content you create. So go on, get out there and make your first video for social media! Ready to learn all of the video basics? Great! From audio and lighting tips to editing your videos, we’ve created a comprehensive video series that covers everything you need to know to get started.